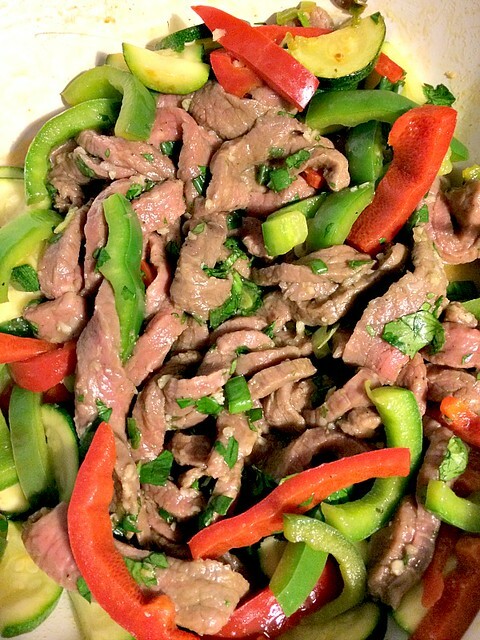 This Ginger Lime Beef Stir Fry was one of the recipes I made for my family while I was doing One Last Challenge with Beach Body. Don’t get me wrong, I will be doing beach body for the rest of my life because I’m a firm believer it’s gotten me to where I am today but the last challenge was more about it being a “last mental” challenge. A challenge where I was finally going to “let go” of the scale and just BE HAPPY with me. ***UPDATE*****Since the challenge ended 2 weeks ago I’ve already lost another 1.5. I’ll take it! 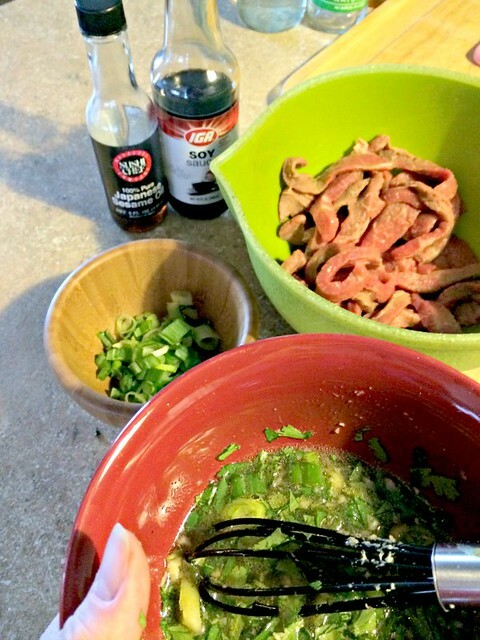 All I can remember when I made this Ginger Lime Beef Stir Fry is how colorful it was! WOW the colors just popped when I was making it. So much that of course I instagramed it! I have to honestly say that I’ve never made a stir fry that had this much flavor. I loved the ginger and lime combination. The night I made this dish I saved both of my yellow containers and filled them both with brown rice. I filled 2 containers with veggies and one container of beef and it was MORE than enough. When you measure it pays off, that’s my new saying! 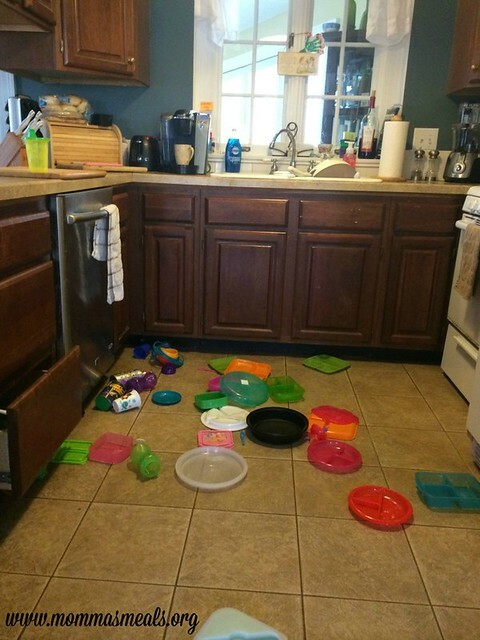 Oh and who cares if you get a kitchen like this when your finished cooking your meal because in the end I got a delicious meal and I didn’t have a toddler hanging off of me! That doesn’t happen too often. 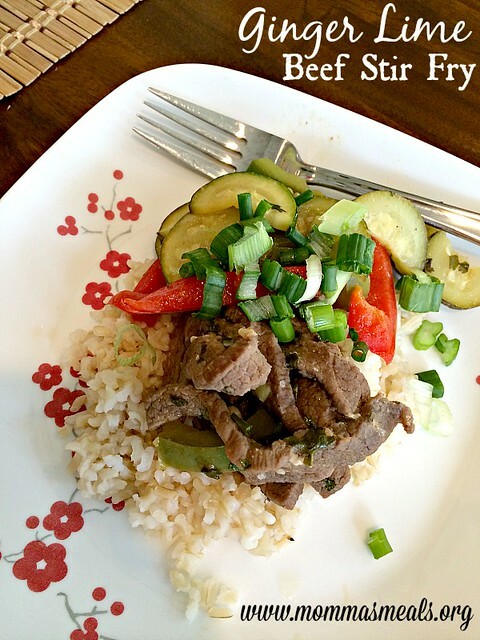 This stir fry is easy and full of color and flavor! The lime and ginger truly make this dish, the veggies gives it a bright color and the best part is that it's healthy if you measure. In a large bowl, whisk together ½ cup lime juice, vinegar, honey, 1 tsp soy sauce, 1 tsp sesame oil, ¼ tsp cayenne pepper and 1 tbsp water. Stir in 2 cloves minced garlic, minced ginger, jalapeno, ½ green onions and cilantro. Add beef, toss to coat and set aside to marinate for at least an hour if not longer. Serve over brown rice or whole wheat pasta. Measure the beef in the 1 red container. Measure the veggies in 2 green containers, and the rice/pasta in 1 or 2 yellow containers. Is that not the most beautiful thing you’ve ever seen! Before you ask, no my kids did not eat it. My son is on a meat strike and my daughter won’t eat healthy but fruit! I actually have this on my menu again for this week!